"UGLYDOLL brought an exciting new concept to us, and we are thrilled to partner with Pretty Ugly to bring a unique and artistic version of our Monsters blended with their ubiquitous characters to the marketplace," said Cindy Chang, Senior Vice President and General Manager, Licensing, Universal Partnerships & Licensing. The first series of plush dolls will launch this fall and will be available at retailers nationwide for a suggested retail price of $20.00. GUND will preview these new collaborative plush characters at the summer Gift Shows and ASTRA show in June. UP&L oversees Universal's consumer product licensing, film and home entertainment promotions, and all corporate alliances for Universal's theatrical, home entertainment, theme parks and stage productions. This dedicated division is also responsible for monetizing the Studio's vast library of films and characters through licensing, branding and marketing opportunities. UP&L is part of NBCUniversal. NBCUniversal is one of the world's leading media and entertainment companies in the development, production, and marketing of entertainment, news, and information to a global audience. NBCUniversal owns and operates a valuable portfolio of news and entertainment television networks, a premier motion picture company, significant television production operations, a leading television stations group, world-renowned theme parks, and a suite of leading Internet-based businesses. NBCUniversal is owned by Comcast Corporation. The UGLYDOLL brand was launched in 2002 by Pretty Ugly, LLC of New Jersey. The property is distinguished by David & Sun-Min's unique aesthetic and voice defining, "ugly" as distinctive and unique. 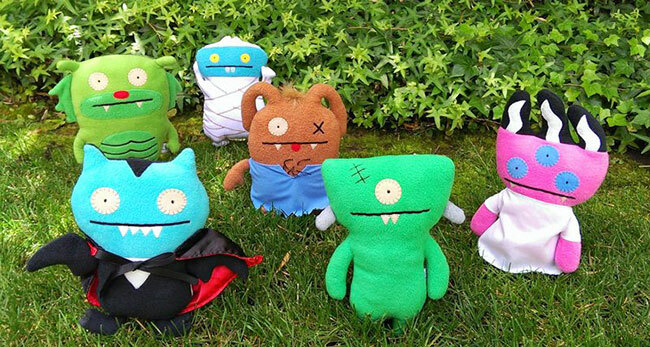 The award-winning UGLYDOLL characters appear in a variety of toys, books, apparel, and other licensed products that are available in thousands of stores, worldwide. For more information, please visit www.uglydolls.com.